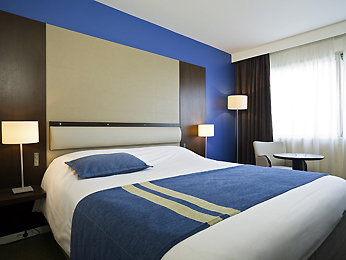 Ideally located in the Paris’s 15th arrondissement and right opposite the main entrance of the Porte de Versailles exhibition grounds, the 4-star Mercure Paris Vaugirard Porte de Versailles combines the comfort of its well-appointed rooms with the calm of quality service. You will love its truly Parisian interior design and the quality of its services for arranging your meetings. For your entertainment, get quickly from the hotel to the Eiffel Tower and the Arc de Triomphe.